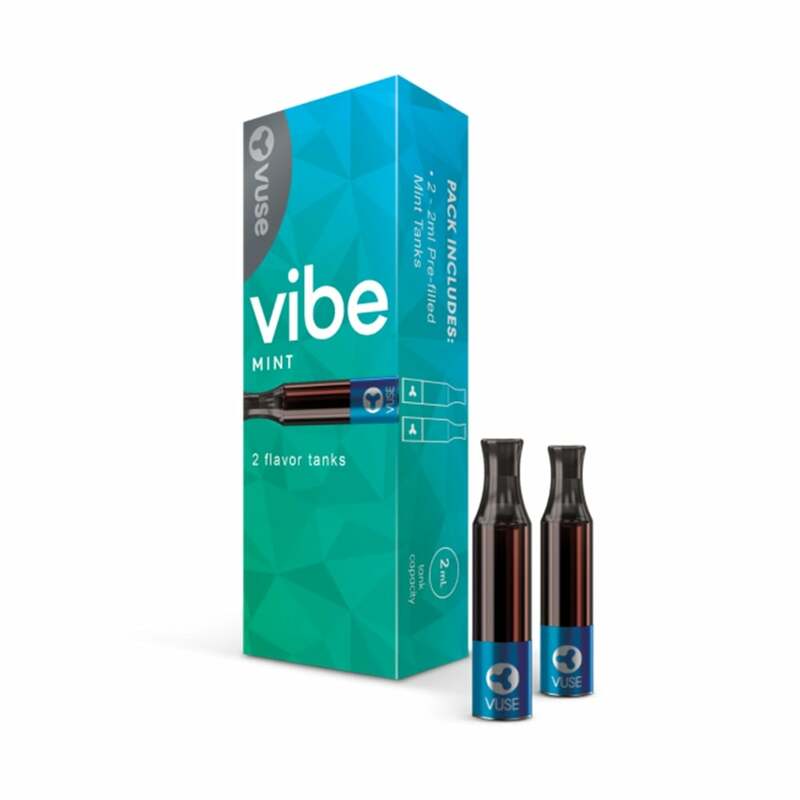 Designed for use with the Vibe Starter Kit by Vuse, this pack of two Mint Pre-Filled Tanks make it easy to enjoy your favorite mint flavors with your Vibe Kit. The mint e-juice is both cooling and fresh, with a welcome tobacco undertone. The Vibe by Vuse is a convenient and innovatively designed e-cig. It features a handy screw-on system which makes it easy to switch between pre-filled refill tanks, which come in a range of flavors including this fresh mint option. Taste similar to a cigarette, pre-filled tank last a long time. Vibes back! Found them in Richmond today! So happy. Thnx Vuse! I just talked to a Vuse rep at a wawa. He told me the vibe will be back in stores in late October. I hope he is right. vibe please don't stop selling my mint vibe ! !I want it back!! The vuse Vibe is the only one I like they last long!!! Love that the cartridges Last so long! I have tried all Vuse products, and the Vibe is by far the best. The flavor is great. Please get these back in stock. I have had to resort back to the Solo for the time being, which I used to love. But the Vibe exceeded my expectations and now just anxiously awaiting it to be back in stock! The best epen, the tank lasts 4x longer than the leading brands even some of it's own branded filters. The pen itself holds a charge for nearly the length that the filter lasts which makes for people with a busy like ideal. I can only find these online but it's worth making that one purchase to last me a month! Vuse Vibe Mint flavored have very good non harsh flavor- the product is easy to carry and use! I love vuse vibe, its a shame that RJ Reynolds recalled the battery and internet resellers stopped having the tanks available. Thankful I can get them from you as our Casey’s stopped selling them!!!! Easy check out and fast delivery! Great tastes!The delivery is fast too!